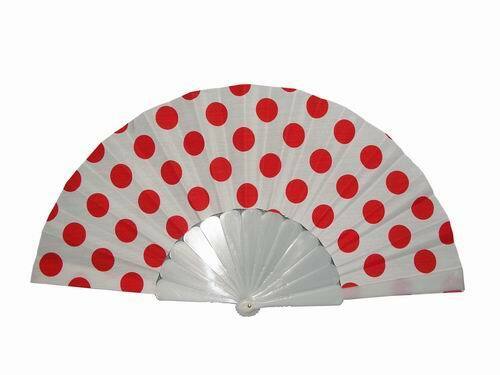 Flamenco fan with polka dots and plastic ribs. Made of plastic and textile. The fan has many different uses. 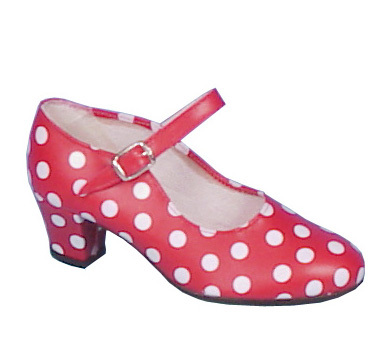 It is used as a symbol of elegance, and also as a language.. and to refresh us when we feel hot. 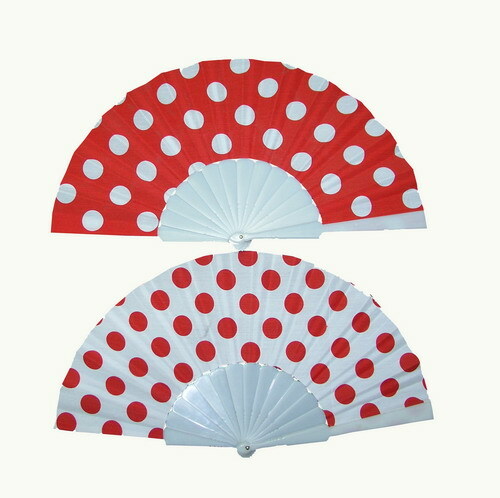 During many years the fan served to transmit feelings and hidden pasions.The postures and looks made possible a new way of expression taking care of showing women's feminity. varillas (ribs): wood that can be painted or fretworked. caberas: first and last ribs thicker than the others. calado (fretwork): holes made in the ribs. 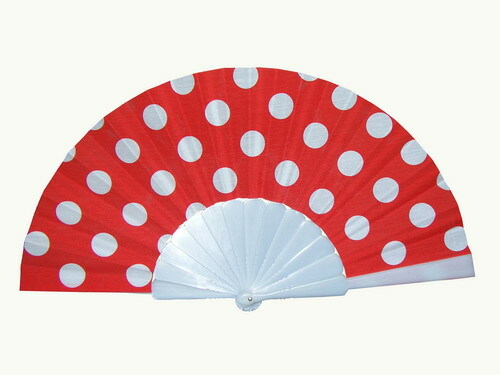 abanico (fan): the assembly or the named elements.